Lucknow is the capital city in the state of Uttar Pradesh in India. Lucknow RTO is governed by the Transport Commissioner. It is established as per the guidelines of the Motor Vehicle Act of 1988. Lucknow RTO conducts multifold activities. All these functions assists in regulating the traffic and transport of the city. Online Vehicle Database Management of all modes of Transport in Lucknow. 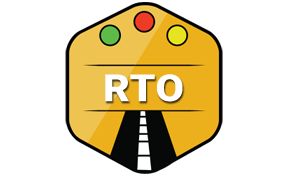 Initiatives to make all RTO details automated. Dealers Management by assisting them in Vehicle Registration. Swift delivery of RC after verifications of all the details submitted by the Vehicle owners. Quick dispatching of NOC to assist in the easy flow of transport from other states. Issuing Driving License in a day after receiving the required documents and conducting the tests. Arranging the driving tests terrain to issue the driving license. Granting Learning license after checking the documents submitted by the aspirants. Timely License renewal of the users. Online Road permits, renewal as applicable. Collecting the road tax for all kinds of vehicles. Making Policies related to the Transportation Management. Providing Temporary Registration to the Vehicles. The Regional Transport Office (RTO), Deva Road, Chinhat, Lucknow, Uttar Pradesh - 227105.